There is a great offer for bet365 “game players” taking place on 20th June, a 25% Reload Bonus. Simply deposit £20 or more into your account and you will receive a 25% boost of up to £100. 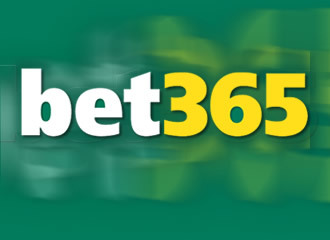 Deposit £20 or more into your bet365 account and you’ll receive a bonus of 25% up to £100! This boost can then be used to enjoy any of the huge selection of games on offer giving you a great chance to try out some of bet365’s latest titles. One of the most exciting new games is The Mummy, a 5 reel, 25 payline slot featuring three excellent bonus rounds called the Lost City Adventure Bonus, Free Games Bonus Round and the fantastic Mummy Hunt Bonus. Each of these bonus games is stuffed full of hidden prizes, multiple payouts and great opportunities to win big. The game also has a Scorpion Scatter Feature; in the film Dwayne Johnson (the Rock) played the Scorpion King and during the game he will appear randomly during the base game as an additional scatter symbol and give you massively boosted line payouts. There is also a Scarab Attack feature, when a wild symbol randomly appears on the third reel two more will appear on reel 2 and reel 4 and give you a massively boosted payout. This is not all, the Collapsing Reel feature causes winning combinations to explode in a chain reaction and create a space which more symbols then fill to give you the chance for extra wins. There is also the Expanding Mummy feature, here \the Mummy symbol becomes an expanding wild and at the same time the Mummy Power Feature can lead to multiple payouts if the wild symbols appear in winning combinations. The final special feature, the Mummy Re-spin will cause a wild symbol to appear and freeze in place until a winning combination is formed. This fantastic slot game and many more great games can all be enjoyed at bet365 using their excellent 25% Reload Bonus.